Rembrandt Harmenszoon van Rijn was a prolific painter. In fact, he was a Dutch, draughtsman, printmaker and painter. Born on the 15th of July 1606, in Netherlands, he is considered as one of the greatest visual artists in the whole world. He happens to be the most important Dutch artist in history and his work depicts a huge variety of styles. His paintings differed in subject matter, so from allegorical scenes to landscapes to portraits / self portraits and biblical themes he has touched upon a variety of subjects. He started painting at a time which is considered to be the Dutch golden age, great wealth and culture was seen during this time. Rembrandt paintings are some of the most exquisite form of art, and have been coveted in a number of museums globally. 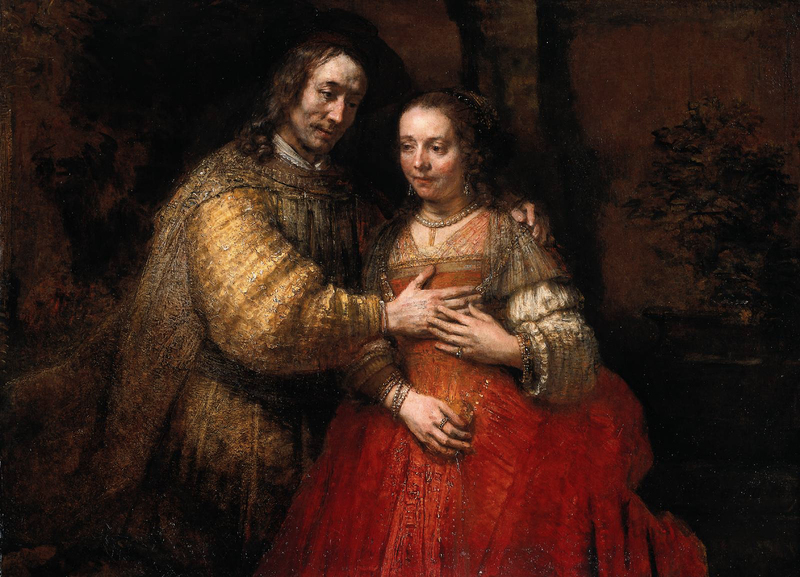 Here are 15 most famous Rembrandt paintings. This without a shadow of doubt is one of his most famous Rembrandt Artwork. The painting is housed in Amsterdam in Rijksmuseum. The night watch is basically a group portrait; it is about the militia company of Capt. Frans Banning and Lt. William van Ruytenburgh. This painting was made in the year 1642. It is set in daylight, as opposed to the older belief that it was a night scene. This painting was made in the year 1633, and is based on the miracle of Jesus Christ calming the storm. This painting unfortunately is lost since almost 26 years, as it was stolen in the year 1990 from the Isabella Stewart Gardner Museum which is located in Boston. Two thieves disguised themselves as police officers and stole this magnificent painting. This was one of the biggest art heist till date. A number of Rembrandt paintings were nudes and this is one of them, it was completed in the year 1654. The painting is safely placed in Louvre Museum which is located in Paris. The history involved behind this painting is, Bathsheba was the wife of Uriah the Hittie. While she was at her bath, she was seen by King David, who called for her to sleep with him. Next, according to the Biblical story, Bathsheba became pregnant and David called her husband from the army. He was hoping that if Uriah slept with his wife, he would think that the baby belonged to him and that would solve the problem. However, in a turn of events Uriah did not consume his marriage, and the King gave him a death sentence. Later, King David married the widowed Bathsheba. Rembrandt is known for his many self-portraits, and this is one of them. It depicts an artist at work. The artist is holding brushes, palette and maulstick; there are two circles in the background. The meaning of the two circles, have various interpretations; while some say it is the map of the world, others say, there is a hidden symbolic meaning. This painting was made between 1665 and 1659, and is known to be one the masterpieces painted by the great Dutch painter. It is at Kenwood house in London. This Rembrandt Artwork was made in the year 1632, and is now housed at the Mauritshuis Art Museum in Hague. 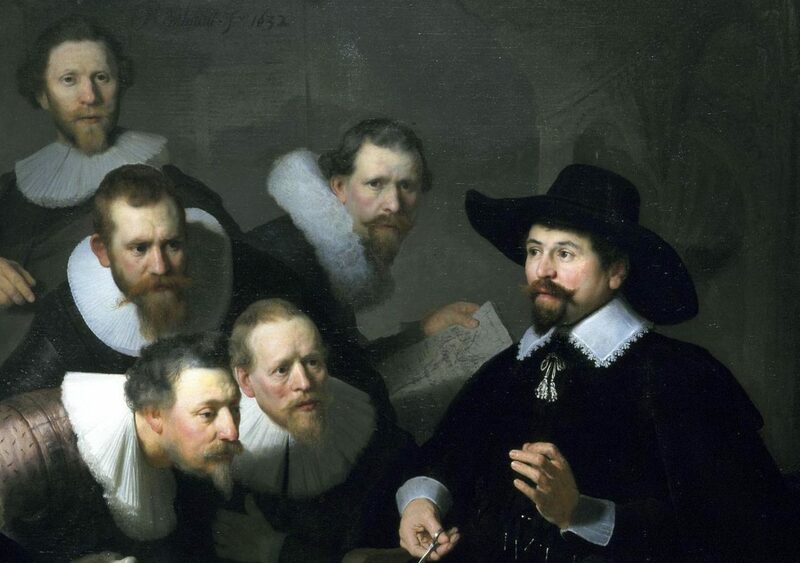 The painting depicts Dr Nicolaes Tulp who was a Dutch surgeon and later went on to become the mayor of Amsterdam. In the painting, Tulp seems to be holding a lesson of anatomy on the corpse of Aris Kindt who was a criminal and was executed. Back in the 17th century there was a custom of performing public anatomy of executed criminals every year, and this painting is based on it. This is the last painting by Rembrandt which has a secular theme; it was completed between 1661 and 1662. It depicts Claudius Civilis who was the Batavian rebellion along with Batavi chiefs who had resolved to join the rebellion against the Roman Empire. The painting was supposed to be placed in Town Hall at Amsterdam, but was later removed and returned because of its large size. Rembrandt resized it and modified it, so that it could be easier to sell it. Later the Royal Swedish Academy acquired it in the 18th century and it was placed in the National Museum at Stockholm. This painting was completed in the year 1662, and it is a group portrait of the syndics of Amsterdam Drapers Guild. The job of these people was to evaluate the quality of the fabric which was being offered to the guild members by the weavers. Today the painting is placed at the Rijksmuseum located in Amsterdam. This painting was completed in the year 1656, and it depicts the beloved son of Jacob, Joseph bringing his sons to his dying father. Ephraim and Manasseh were the two children who visited their grandfather, and in the painting it is seen that Jacob is only blessing Ephrain unlike the biblical story in which he blessed both the boys. The painting is displayed and owned by the Museumslandschaft Hessen Kassel located in Germany. It is considered to be among the last few words of Rembrandt. It is believed that this particular piece was completed a short while before his death. It is a life size painting and has a Biblical reference to it. 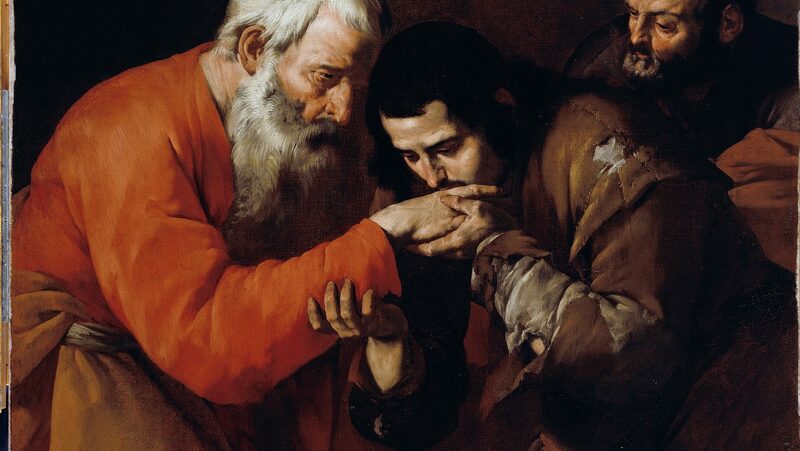 It is the story of the prodigal son when he returns to his father, seeking forgiveness. It is now located at Hermitage Museum. 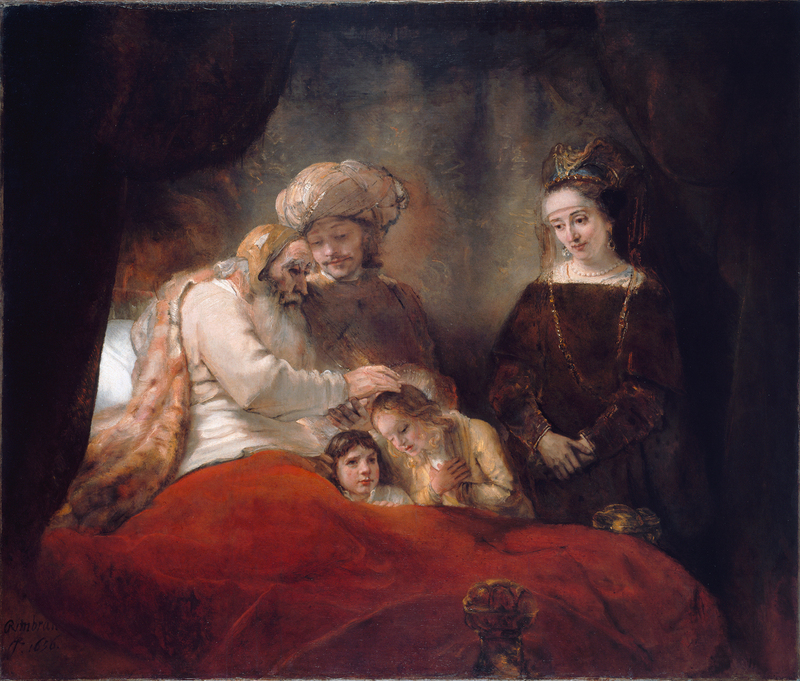 This Rembrandt art is located in the National Gallery of London; it was completed in the year 1635. It is based on a Biblical story, where Nebuchadnezzar had looted a temple in Jerusalem, and bought back a number of sacred artifacts. His son Belshazzar used the golden cups which were looted in a feast and the hand of God appeared and prophesized in written the downfall of his empire. This painting was completed in the year 1667 and is located in Rijksmuseum in Amsterdam. It was initially believed to be the painting of a father gifting his daughter a necklace on the day of her wedding, but that interpretation is no longer accepted. The ambiguity of the couple makes it a masterpiece and experts say, that the couple could be anybody, just two people joined in love. Completed in the year 1648, this painting is displayed at Gemaldegalerie which is in Berlin. 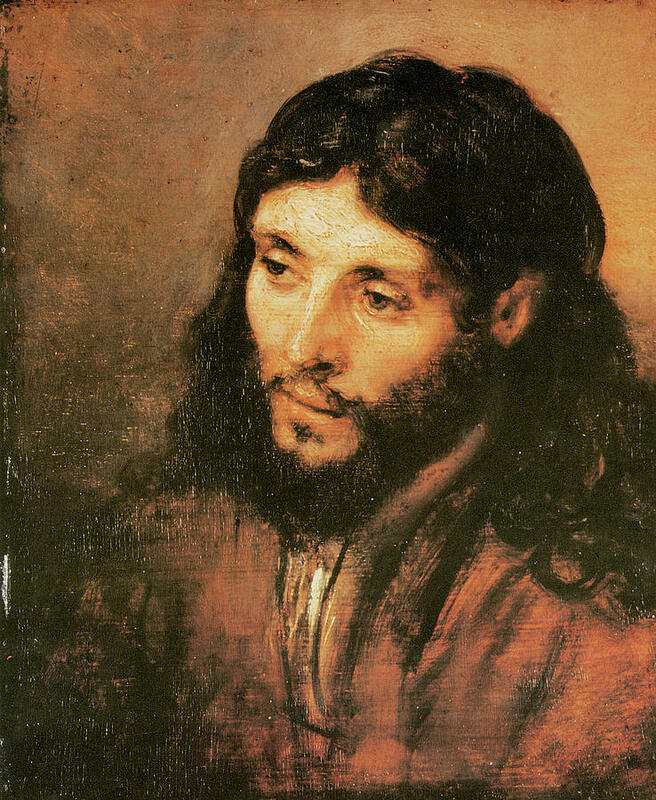 This painting marked the turning point in Rembrandt’s life and is based on a Jewish model. 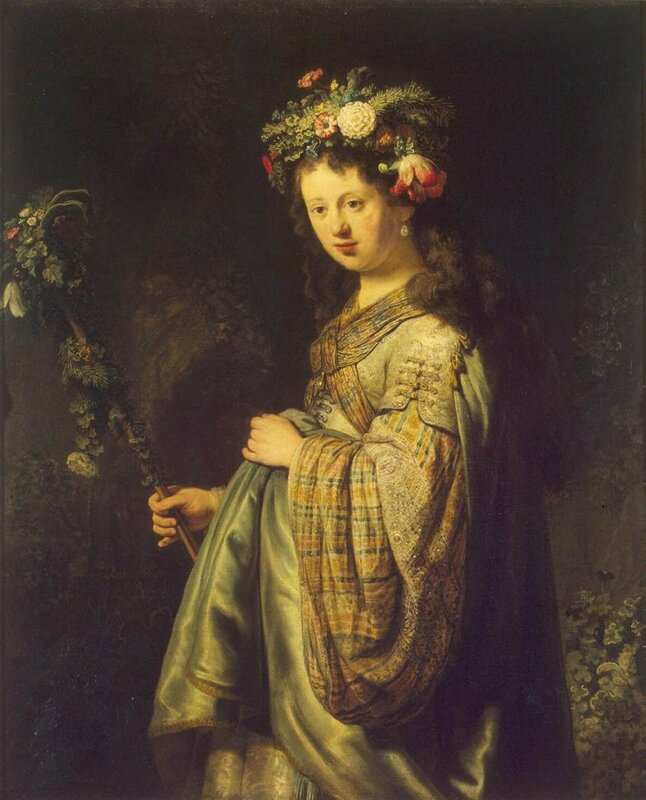 The painting dates back to 1634 and it is the painting of Rembrandt’s wife, Saskia Van Uylenburgh, depicted as the Goddess Flora. The painting is on display at Hermitage Museum at St. Petersburg. This painting is one of the many religious scenes painted by Rembrandt. It was completed in the year 1634 and is also located at Hermitage museum in St. Petersburg. The image is crowded; but every person in the painting bears a different expression. This painting was completed in the year 1666, It is an oil on canvas painting; Lucretia is seen holding a cord on one hand and a dagger on the other. By now it must be clear that Rembrandt paintings are some of the most coveted jewels in the field of art. Rembrandt Art is extremely versatile and his paintings are lifelike. The expressions on these paintings are exceptional, and breathe life into every image.